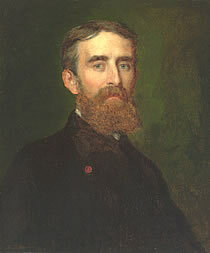 The Program for Andrew D. White Professors-at-Large was established in celebration of Cornell’s first centenary, and named in honor of its first President, from whom the idea originated. President White expressed concern lest Cornell’s first faculty, “remote from great cities and centers of thought and action…lose connection with the world at large, save through books…’bred in and in’ and become provincial in spirit.” To help insure this would not happen, he proposed “the establishment of a system of non-resident professors,” selected for their distinguished achievements in diverse disciplines and walks of life, who would visit the University periodically over extended periods of time. Under such a system, “the resident professors would be thrown into close relations at once with the special professors. Their views would be enlarged, their efforts stimulated, their whole life quickened.” In characteristic fashion, White not only proposed, he also acted. To the university, in its earliest days, came giants of the mid-nineteenth century. Andrew Dickson White’s vision was renewed in 1965, when the Cornell faculty unanimously recommended, and the Board of Trustees approved, a plan “to revive the office of nonresident professor by appointing as Andrew D. White Professors-at-Large a group of individuals, from both America and abroad, who have achieved high international distinction in the various areas of science and scholarship as well as in the learned professions, public affairs, literature, and the creative arts.” In its interdisciplinary scope, encompassing both knowledge and action, this broadened conception embodies Cornell’s unique qualities as a great university. At any one time, up to twenty outstanding intellectuals from across the globe hold the title of Andrew Dickson White Professor-at-Large and are considered full members of the Cornell faculty. During the six-year term of appointment, each Professor-at-Large visits campus for about a week in each three-year period while Cornell classes are in session during the academic year. Currently, the Program sponsors up to six visits by different Professors-at-Large per year. The timing of the visits and planned activities are arranged with the A.D. White Professors-at-Large Program Office. The activities engaged in by today’s Professors-at-Large go beyond even White’s broad vision, for they extend to students as well as faculty. Among such activities are public lectures, office hours with undergraduate and graduate students, specialized seminars (typically in more than one field), collaborative research with members of the faculty, consultation on student theses, undergraduate research projects, laboratory work, and a wealth of informal discussions with Cornell colleagues and students. Students who take advantage of the Andrew Dickson White open lectures find themselves pursuing a stimulating course of study that touches on just about all of the intellectual world’s most crucial concerns, presented by the world’s foremost experts in each domain. Andrew Dickson White Professors-at-Large become lifetime champions of Cornell and lifetime members of Cornell’s academic community. After their six-year terms have expired, they often return as Professors-at-Large Emeriti, and are assured of a warm welcome from those eager to partake once more of their scholarly and personal vitality. Cornell University’s Andrew Dickson White Professors-at-Large Program has been called one of the truly imaginative projects in American universities, bringing a steady stream of the world’s foremost scholars, thinkers, and artists to the Cornell campus. Being named an Andrew Dickson White Professor-at-Large ranks among an academic’s most eminent distinctions and honors.